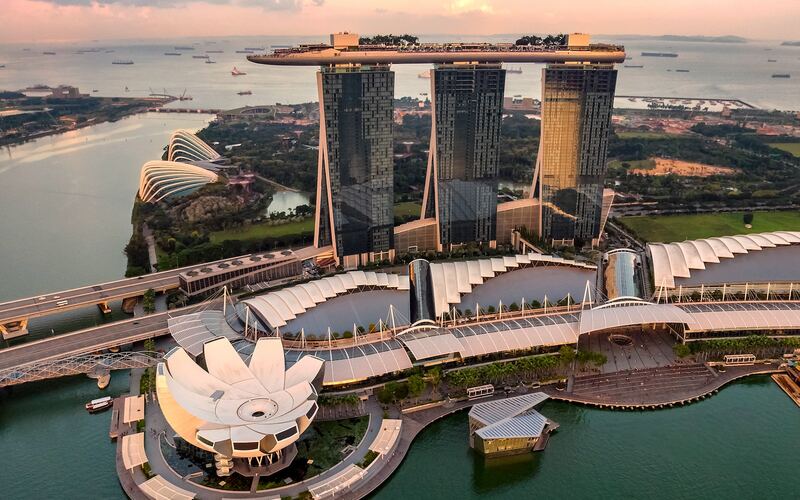 Underneath the its shiny surface, Singapore is a shoestring traveller’s dream – and you don’t even have to dig deep to find it. While a lot of stopover travellers get distracted by upmarket hotels, extravagant shopping malls, and flashy light shows, there are a few ways to cut costs across the Lion City. You won’t just be doing your budget a favour; you’ll be rewarded with colour, culture, welcoming locals, incredible food and cheap beer, too. Here’s how to experience the best of Singapore on a budget. Singapore’s coffee culture is on the rise. 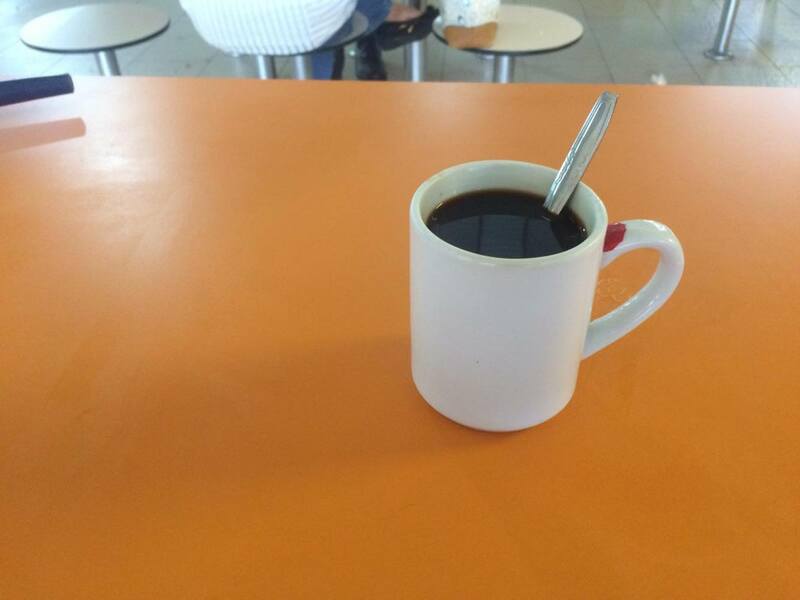 If you do a little digging, there are hipster cafés and specialty coffee stores aplenty, but we recommend grabbing yourself a kopi from a Kopitiam or Hawker for less than a dollar. Here, they roast the beans in butter, which leave the flavour strong, dark and delicious – the perfect pick-me-up for a day of city wandering. The MRT train network covers pretty much the entire city and trains run every two to six minutes. It’s a cheap, reliable and easy way to get around. For the cheapest rates, be sure to travel at off-peak times (after 9am) or, for a free ride, tap out before 7:45am. The rates are calculated per station, so your ride will cost anywhere from SG$0.70 to SG$2 (AU$0.70c to AU$2). 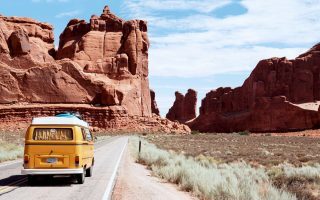 A budget traveller’s instinct is to consider a cab as a last resort, but it needn’t be in Singapore. A 15-to-20-minute ride from the city to the ‘burbs shouldn’t cost you much more than SG$10 (AU$10). Taxi drivers don’t always respond to being hailed, so head to a taxi rank or call to book. Unless you’re staying in a hotel or condo with a pool, escaping Singapore’s hot and humid climate can be tricky. 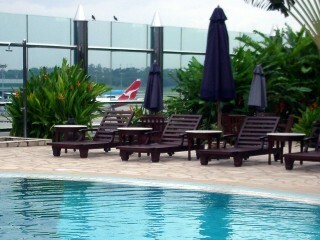 You can, however, cool off at a local swimming pool for the refreshingly low price of SG$1.30 (AU$1.30). The public pools are super clean and well supervised, and, if you have an Ezlink Card (like Melbourne’s Myki or London’s Oyster), you can swipe yourself in and out without needing cash. You might even get free poolside wi-fi. 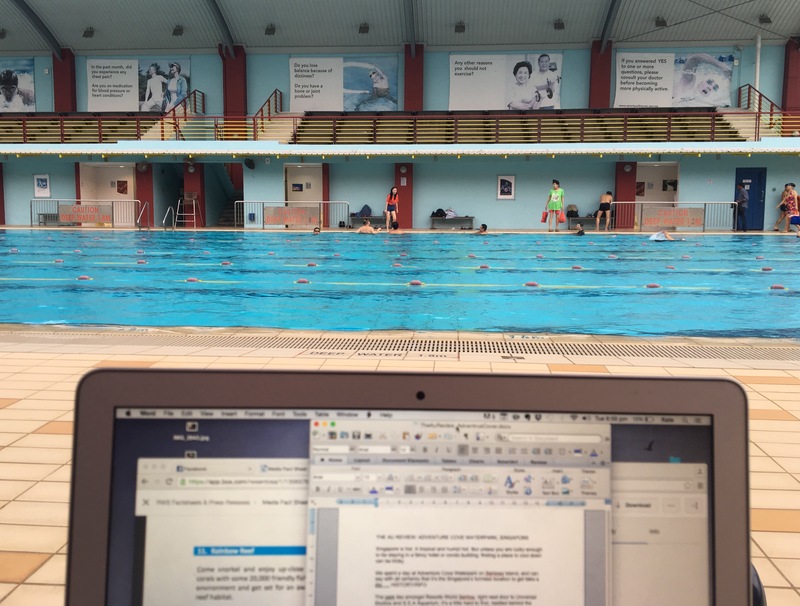 Try Jalan Besar Swimming Complex, which is a five-minute walk from the Lavender MRT Station. Do as the locals do and buy your fruit, veggies, meat and snacks at a “wet market”. 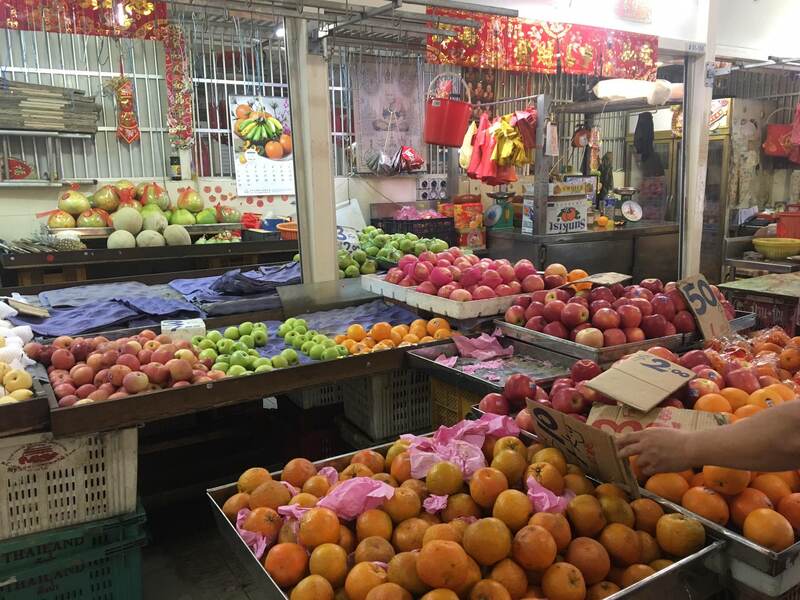 The neighbourhood wet market will be easy to find as it usually shares a building with a Hawker Centre. Most are opened by 5am and close before noon, so get up early for the freshest and cheapest produce. A Hawker is a local food centre where lots of sellers set up shop in the one place. 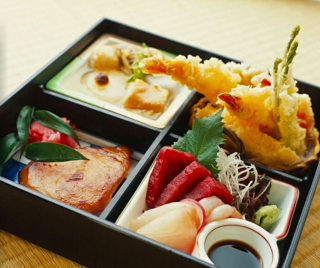 Most specialise in just a few dishes each, which they may have spent years perfecting. 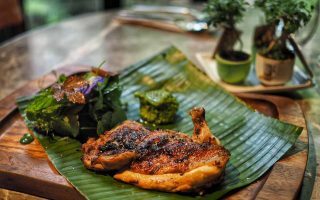 Enjoy chicken and rice, dim sum, curries, noodles, soups, roti and eggs, fried rice or roast duck – all for crazy cheap prices, which is just a dream when you’re seeing Singapore on a budget. Fun fact: Singapore regulations require every vendor to offer at least one menu item for SG$2.80 (AU$2.80) or under. Have fun sampling more adventurous local cuisines like fried oysters, fish head curry, sambal stingray, mixed pig organ soup, mutton tongue soup, chicken feet or frog porridge. Tirong Bahru, Chinatown or Airport Drive Hawkers are some of the best. 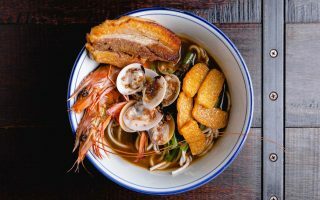 For mouth-watering Filipino Suckling Pig, head to Iskina Cebu at the Paya Lebar Hawker. It’s your cheapest place to eat, but it’s also the best. Each vendor displays a food-handling rating on their shop, so look for A and B vendors and look for vendors with the biggest line; it’s a sign that they’re serving up something worth the wait. 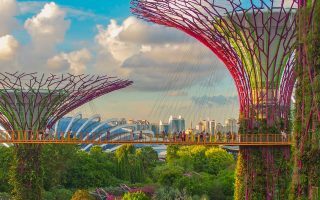 If you don’t want to fork out money to visit Singapore’s major attractions (like the zoo or Universal Studios), days spent roaming the colourful and eclectic neighbours is equally as thrilling. 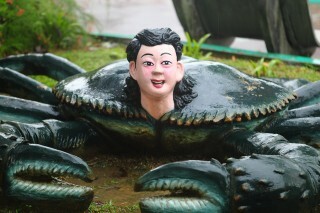 Not only will it be a cheap (did we say you can do Singapore on a budget?) day out, but you’ll find joy in the endless culture, friendly people, and fantastic food. 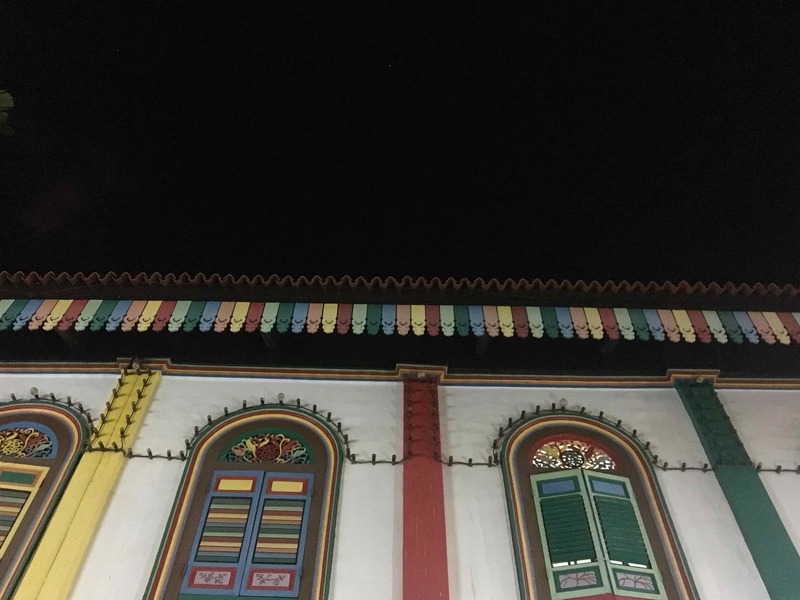 Some must-see neighbourhoods are Little India, Chinatown, Tirong Bahru, and the Arab District. Alcohol in Singapore is heavily taxed, but there’s still plenty of places to grab a drink without straining the budget. 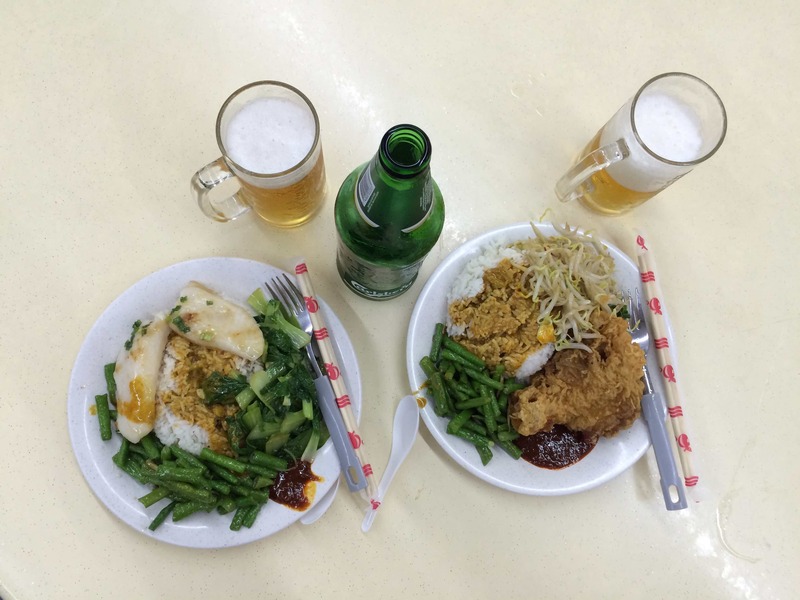 Across Singapore, you can buy long necks of local brew for SG$6 to $7 (AU$6 to $7) at a hawker centre. See? There’s always an option when it comes to seeing Singapore on a budget. If you’re hankering for something a little more refined, check out The Good Beer Company or Smith Street Taps in Chinatown, both of which offer international and craft beers at hawker prices (about SG$9 /AU$9 a pint). There’s usually a bit of atmosphere and plenty of other beer lovers to share a yarn with. On top of that, there are lots of bars and clubs that offer free entry and/or free drinks for ladies, mostly on Wednesday nights. At Refuge in Boat Quay, ladies receive a free vodka on arrival. At Canvas Bar, it’s free-flow vodka on Thursdays. And for stunning city views, Ce La Vi – the bar atop the iconic Marina Bay Sands hotel – has free entry and a free drink on arrival for ladies. 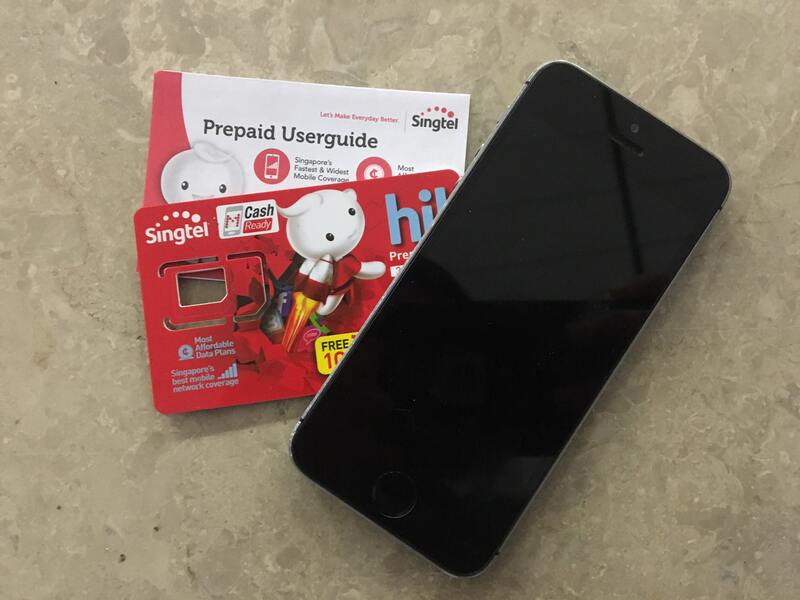 In Singapore, having a local phone number can open more doors than you think, especially since you’ll need one to access most of the city’s free wi-fi spots, like train stations, shopping malls and libraries. Do your research and find what’s best for you – some providers offer data-only pre-paid traveller packs (some with up to 1000GB of data), while others will allow you to use Facebook and WhatsApp for free without chewing into your gigs. 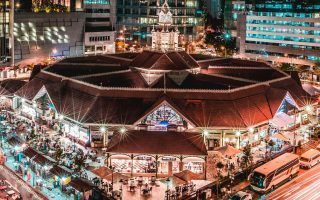 Now you know how to see Singapore on a budget, check out our guide to the city’s Hawker markets.